Fresh fennel is the most typical ingredient used for flavouring sausages. These particular Sicilian sausages have the perfect balance between tradition and innovation. *It is available for both same-day and next delivery only from Tuesday to Saturday! 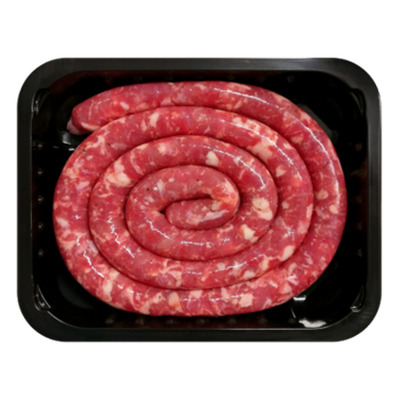 These products represent the authentic Italian Sausages, made with the freshest ingredients and 100% premium selected pork cuts. Gluten Free Certified and in natural casing. Seasoned with Fennel. You can taste the presence of fennel seeds which give a fresh taste and a pleasant smell . GLUTEN FREE Pork meat, sea salt, dextrose, sucrose, wild fennel, sodium acetate, ascorbic acid (E262), Ascorbic acid (E300) , natural flavouring.